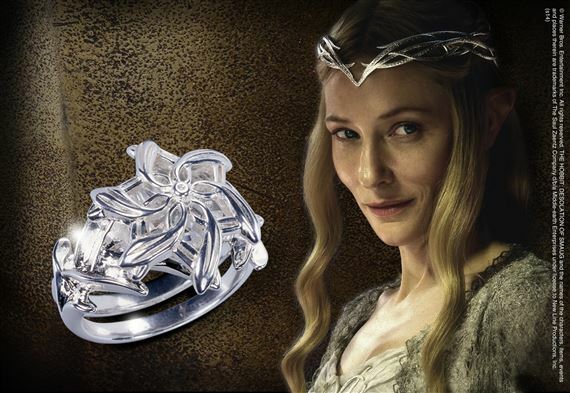 Galadriel, the Queen of the Elves, wears a beautiful ring known as Nenya in the Fellowship of the Ring. Also referred to as the Ring of Water, Nenya is reproduced in stunning detail out of solid sterling silver and set with a fine European crystal beneath the laced silver atop the ring. Reproduced with extraordinary workmanship, it comes complete with a rich wooden collector's box. Specify size.